Want Canada PR? Use Saskatchewan Immigrant Nominee Programme For The Purpose! Are you one of those interested to explore the Provincial Nominee Programme (PNP) route to get the prized Permanent Residence (PR) status in Canada? If yes, apply for the very popular and fast-track Saskatchewan Immigrant Nominee Programme (SINP), and become a permanent resident in the Maple Leaf Country inside a short period of time, and without any major difficulties! The beautiful but very vast (geographically speaking) country of Canada is dotted with several provinces and territories with British Columbia (BC), Ontario, Alberta, Quebec and Saskatchewan being some of them. Immigration to any of these or other regions, on a permanent basis, is likely to usher in a wealth of happiness and success for the migrants. So, no wonder, numerous people wish to migrate to Canada and settle in one of the provinces/territories of the country. Saskatchewan Immigration especially attracts many such aspirants. Why it is so? 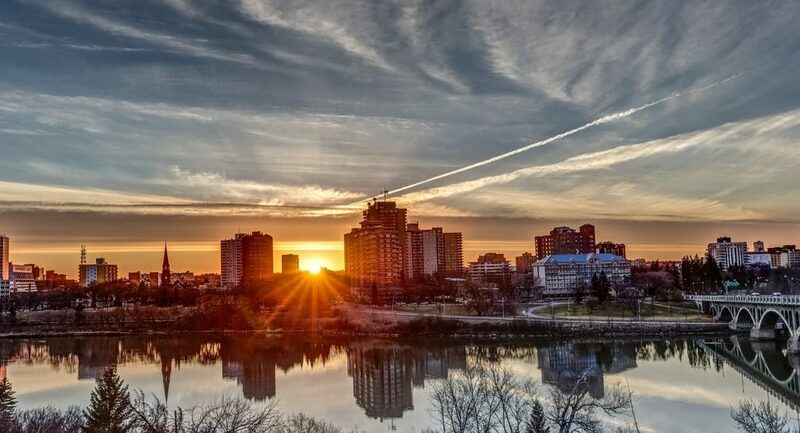 Well, the province houses one of the country’s most quickly growing economies and populations, and is highly multicultural, courtesy mainly the arrival of immigrants from across the globe, from far and wide, from Ireland to India, from Brazil to Bhutan. Much like other province and territories in the nation, the province runs and manages its own specific Provincial Nominee Programme – and as mentioned right in the beginning of the blog–it is popular the world over and formally known as the Saskatchewan Immigrant Nominee Programme (SINP). Via the scheme, the soon-to-be immigrants, having the skills & experience targeted by the province, may look forward to pocketing a Saskatchewan Provincial Nomination Certificate, and using it successfully apply for the prized Permanent Residence (PR) in the highly loved overseas hotspot called Canada with processing times that are quicker, in relation to other immigration categories available in the country. If one talks about the categories available under the programme, well, the SINP admits petitions for Immigration to Saskatchewan under the below given categories. Check with your visa agent to figure which suits you the most and how you can move to the province as a permanent resident through the category preferred by you! The SINP permits the Canadian province to proffer nomination to those admitted to the Maple Leaf Country by the Federal Administration having the skills and experience most wanted in the local economy. Apart from assisting people, who have the precise skills that are in high demand locally, the Saskatchewan PNP also helps people who currently live and work in Saskatchewan, or who have a desire to invest in or begin a business in the province. The Saskatchewan immigration procedure, via the SINP, permits capable individuals and families to bypass the potentially tougher and more complex procedure of moving via applying directly to the Canadian Administration. Overseas people may move to the province via the SINP in two different ways. Apply to the SPNP in a direct manner, via sending the programme an Expression of Interest (EOI). In case you successfully manage to get a nomination, you may then make a new Express Entry profile and import your qualifications into the system. Start the Saskatchewan immigration procedure, via making a new Express Entry profile and officially expressing an interest in moving to the province. Immigration Saskatchewan may afterwards choose the keen aspirants and send them an invite to apply to the SINP. After getting nomination, your Express Entry profile will become richer, right away, with your Saskatchewan nomination certificate, in the process, proffering you an extra 600 points under the Comprehensive Ranking System (CRS). Afterwards, you may look forward to getting an ITA for Canada PR at the coming Express Entry draw. This particular category of the SINP provides the overseas manpower, presently doing a job and staying in the province, the golden chance to move to Saskatchewan on a permanent basis. As per the requirements, the aspirants must be doing a job in the Maple Leaf Country with a legally valid Work Permit and must truly plan to economically settle in the province. The category has 5 sub-categories, namely, Existing Work Permit, Health Professionals, Hospitality Sector Project, Long Haul Truck Driver Project, and Students. It is basically an excellent immigration scheme via which aspirants–interested in possessing and managing a business or any farming operation in the region–have the option of applying for a PR Visa in the country. It is perfectly tailored for those interested in managing and investing their financial resources in the Canadian province, via building, getting hold of, or by being a partner to a business undertaking presently situated in the region. As per the requirements of the sub-category, those who are keen must illustrate an active participation in the administration of the business even while the work of this sub-category depends upon the EoI model. This particular sub-category is perfectly tailored for the aspirants who are armed with a rich farming experience with necessary funds and who are keen to make an investment in a farming venture in the province. Now since you know about the Saskatchewan Immigrant Nominee Programme and also its many categories and sub-categories, what are you really waiting for? Use the information given here to plan your Saskatchewan immigration on a permanent basis!